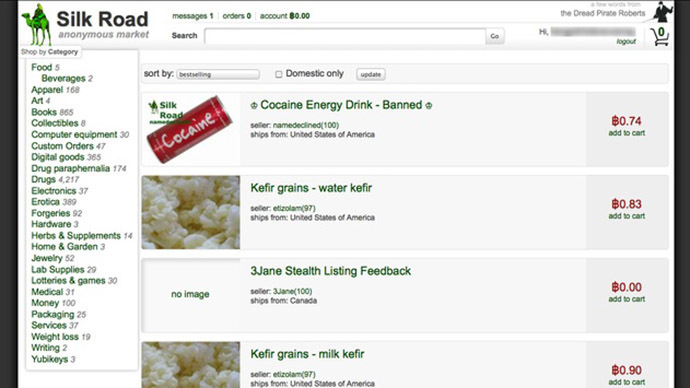 ​The mastermind of the Silk Road online drug bazaar won’t get a retrial, a US federal judge has ruled, rejecting efforts from Ross Ulbricht’s defense team to take the high-profile Deep Web drug case back to court. United States District Judge Katherine Forrest denied a motion on Monday this week filed by Ulbricht’s attorneys in March after their client was convicted on seven charges related the online marketplace. Federal prosecutors indicted Ulbricht, 31, in 2014 on charges related to Silk Road – an underground website where visitors can buy and sell illegal drugs and hacking services on the deep wed through highly anonymized crypto-currency. The government said Ulbricht ran the site under the moniker “Dread Pirate Roberts,” and a jury deliberated for less than four hours before finding him guilty on all counts. Ulbricht now faces the possibility of receiving life behind bars when a sentence is handed down later this year. Attorneys had hoped to get a retrial by filing a motion early last month that alleged the prosecution’s investigation had been tainted. Supposedly unlawful surveillance, the delayed delivery of witness materials to the defense and the inability of a crypto-currency expert to testify in support of Ulbricht during the trial had all interfered with the case, the lawyers suggested, and thereby necessitated legal proceedings to start anew. Charges filed against federal agents involved in investigating Silk Road and unsealed earlier this year also suggested Ulbricht’s team may have had a chance at securing a retrial, but Judge Forrest wrote this week that the accused’s involvement with the site was never up for debate. “In short, he was caught red-handed but was a dupe,” she wrote. “His defense was that somehow – in a manner not then explained – Ulbricht had been set up by the real criminal mastermind,” she wrote. Forrest added that “the evidence of Ulbricht’s guilt was, in all respects, overwhelming.” Despite the defense’s opening statement suggestions, though, Forrest wrote that the defense failed to ever establish in court any evidence that would endorse that theory. “There is no reasonable probability of a different outcome here: The circumstances of [the] defendant’s arrest, and the evidence found in his own possession at the time of the arrest, are in and of themselves overwhelming evidence of his guilt,” Forrest wrote. Ulbricht is currently slated to be sentenced in the Southern District of New York on May 15, but his attorneys are now seeking a delay after the prosecution announced that testimonies will be delivered at the hearing before the ruling is made by at least two witnesses – the parents of individuals alleged to have fatally overdosed from drugs purchased on Silk Road. Forbes reported that Ulbricht’s attorneys are seeking a sentencing adjournment on account of the defense having yet to see evidence suggesting the drugs in question were purchased by the website that a jury said Ulbricht was responsible for.